Sponge profiles are industrial rubber products for shock absorption and cushioning. They provide good recovery but are softer and less resistant to compression than solid rubber. 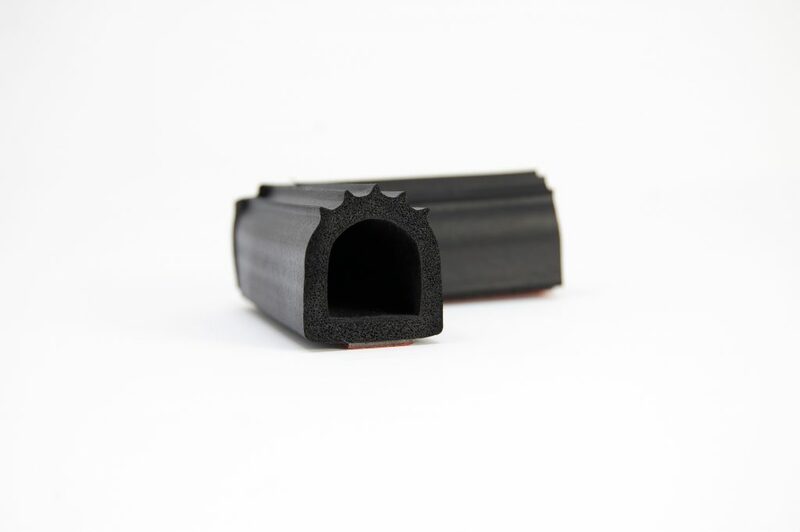 Sponge rubber profiles also have a high strength-to-weight ratio. They are made of neoprene, EPDM, nitrile, silicone, and other elastomeric materials. Sponge profiles are formed via extrusion, a production method that allows rubber goods to be run in continuous lengths of the same cross-section. Extruded rubber is manufactured using chemicals and additives such as flame retardants, fillers, cross-linking agents, and pigments or colorants. Sponge rubber extrusions are categorized as either open cell or closed cell, depending on their structure. Open cell sponge profiles contain interconnected pockets so that air, water, and other chemicals can pass through when the material is not compressed. Open cell materials are suitable for low-pressure and spring-action sealing but are not recommended for weather stripping. Additional applications for open cell sponge rubber includes cushioning, insulation, and padding. Materials for open cell sponge profiles include polyurethane, polyester, and polyether. 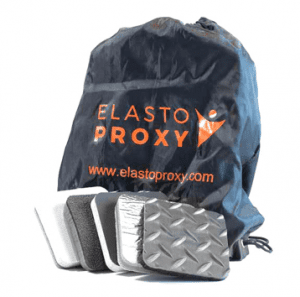 Polyurethane sponge rubber absorbs shock and provide cushioning in packaging and furniture. Polyester sponge rubber is lightweight, mildew resistant, and has low thermal conductivity. Polyether sponge rubber is used for sound absorption and dampening. Closed cell sponge profiles contain balloon-like cells that hold nitrogen gas and prevent the passage of air or water at low pressures. Applications include military, medical equipment, and acoustic insulation. Closed cell sponge rubber also combines strong sealing capabilities with good compression and recovery characteristics. Materials for closed cell sponge rubber include EPT, EVA, nitrile rubber, and SBR sponge; polyethylene, polyurethane, and PVC sponge; and closed cell sponge rubber profiles that use pressure-sensitive adhesives (PSA). Neoprene and EPDM are commonly used. Silicone is suitable for high-temperature applications.